Our digital fabrication process saves you time and money by enabling your projects to go straight from digital design and bulk sheet-metal coil to welded structural wall and floor panels. 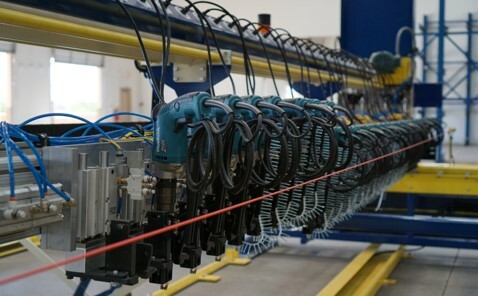 With robotic welding and automatic sheathing, total cost is further decreased while achieving factory level quality. 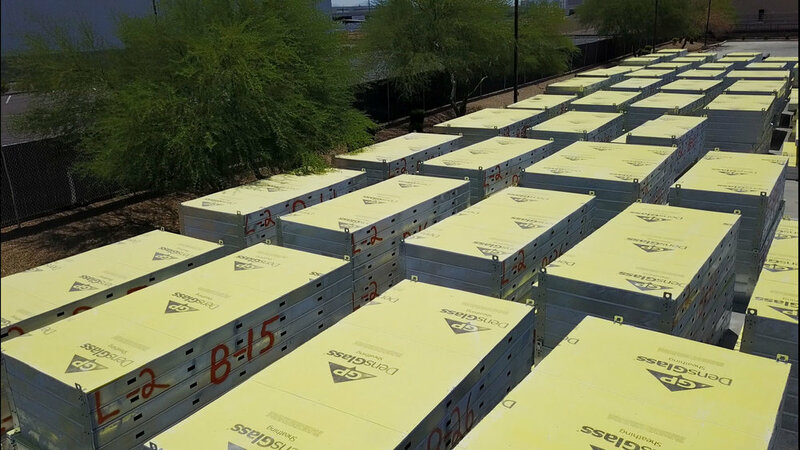 This means zero waste of material, zero waste of labor, and zero waste trucking excess scrap. Digital Building Components gets engaged during the early design phase of the project. 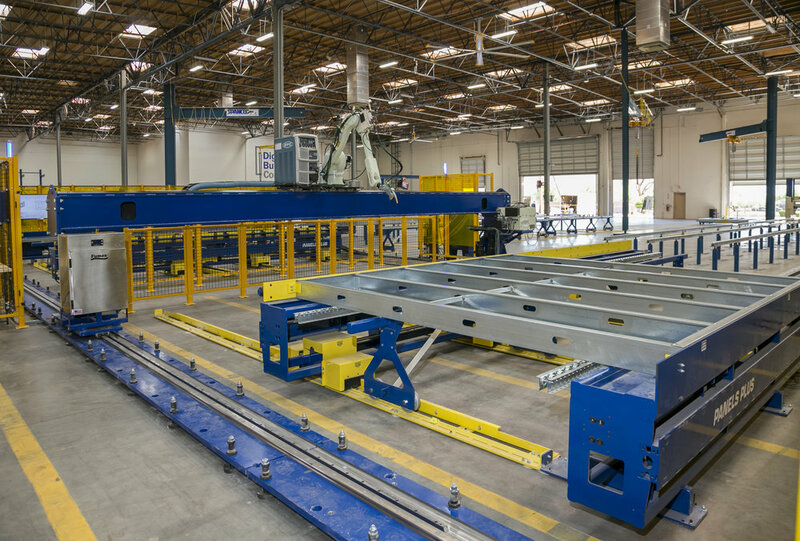 We work with you and your team to identify which building elements (walls, decks, and partitions) can be more efficiently delivered through factory fabrication. Working with the other design team members, we model our components so that they fit perfectly into the building architecture. We load fabrication data into our model and move directly to production. The final “shop drawings” are reviewed in the 3D model as a complete building system. Working within Revit, we use our patented proprietary software to spool directly from the digital model to our automated equipment. 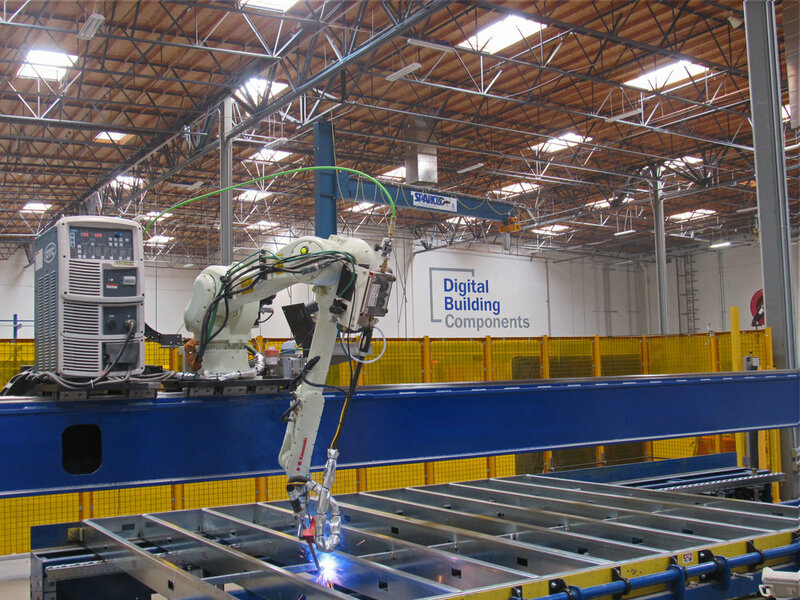 Digital Building Components fabricates directly from the model using proprietary and patented software, automated equipment, and lean production methods in a paperless environment. Our factory workers do not perform manual measuring and cutting. Traditional interpretation of details, measuring, and cutting are the source of more than 95% of rework in construction. By eliminating these sources of rework, your project has a much higher level of initial quality. We perform quality assurance measurements on our roll-forming equipment and welding equipment to ensure that consistent production standards are met. Our factory workers also perform a visual inspection of every panel as it leaves our factory and loaded for transport. If required, Digital Building Components can provide photographic documentation of each panel prior to loading for delivery. Digital Building Components can provide one of our installation support specialists to meet with the installation team during the design phase, prior to delivery. We also offer consultation during initial weeks of installation.